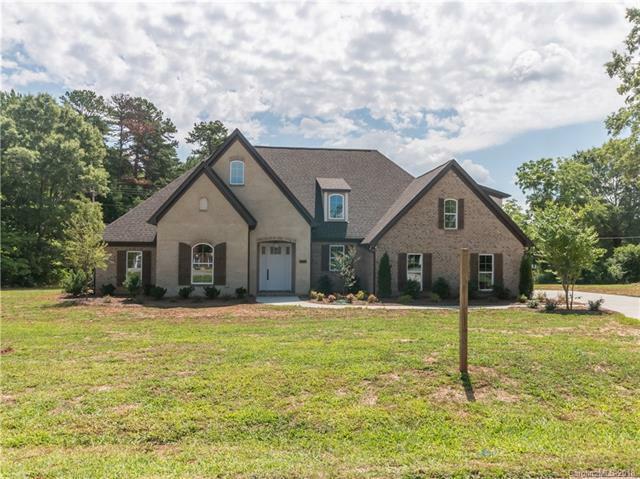 Custom built full brick home with decorator finish selections. This home has 4 bedrooms on main level plus 5th bed / bonus room with full bath upstairs. Gorgeous guest wing bathroom with granite top, dual sinks and tub shower combination. 9 ft ceiling height throughout the home, open main level living space, hidden walk in pantry, island kitchen with room for 4 stools, Eat in kitchen / dining area overlooks back yard, covered rear porch and patio, master suite on main level with huge walk in closet complete with built in shelves / storage, dual vanities, designer tile master shower and vessel tub. Fantastic laundry / utility room with granite countertops, built in cabinets and storage plus drop zone for coats, hats and shoes. Over 1 acre nearly level lot - Oversized driveway with extra wide pad for additional parking and easy turn around from garage. Builder's spec home will be completed shortly.